Choosing, learning and integrating social media into your business can be very daunting. There are so many options, each requiring a learning curve which you probably have little time for. Then, once you’ve set aside time to learn about your chosen platform, you have to commit to it, produce content, interact and make it part of your business. It’s no wonder people shy away from embracing Social Media Marketing (SMM) in their business. It’s a shame because social media can open priceless one-to-one communication channels between businesses and customers. 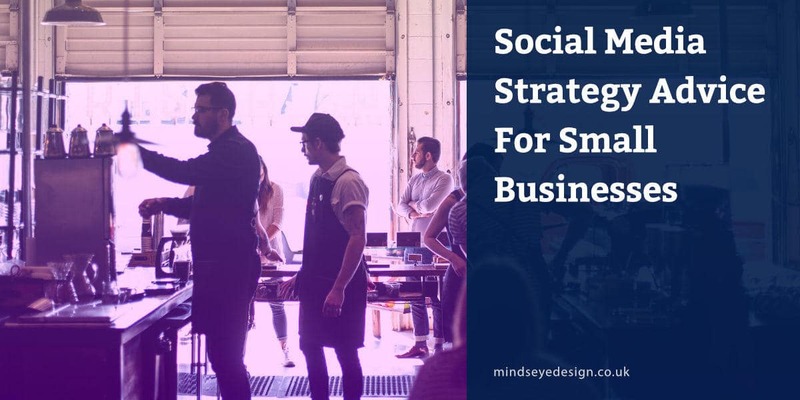 If you’ve been hanging back or wondering how you can make SMM more effective for your business, the following solutions will show you how to make the most from social media marketing. In no less than 8 steps, we’ll show you how to start pulling in results that you never dreamt possible. It’s all in the planning and we’ve outlined what we know below so you can make a start and get on and hit the ground running. Social Media Marketing (SMM) is the method of gaining traffic or attracting more attention via social media platforms such as Facebook, Twitter and YouTube. If you don’t talk to your customers, your competitors will. So if you’re not using social media or putting any effort into it, you need to start now! Here are some of the more well known social media platforms. There are many more! Not all social media platforms will suit you, your business or how you communicate with your customers. Each one is used for different purposes so choosing the right platform(s) will enable you to focus your energies and get the best results. Choose carefully too, because which ever you decide to go with, you’ll need to keep using it/them. You can’t start and stop using social media. It’s not a pick up, put down, pick up again later service. It’s like they say about pets, they’re not just for Christmas! So, once you’ve started, you can’t just stop because you’re having a bad day. This is a business commitment and something you need to embrace and make part of business. In fact, that’s the nub of it, being social must be part of your business. To make the most of the work you are going to put in, you need to have some strategies in place. Below are our 7 Steps To Create Your Social Media Strategy. It may sound obvious but to hit a target you need to have something to aim at! Increase sales of a particular product? Boost bedroom bookings at your B&B during the off-season? Discover customer likes and wants via a survey? As you can see, you need to work out what you want this campaign to achieve before you do anything else. Don’t create too many goals. Work out the most important reason for the campaign and then focus on one or two options that will get you there. Now you’ve decided on your goals, you need to set some clear objectives on how to attain them. We suggest using the S.M.A.R.T. strategy for this. Let’s use a Bed & Breakfast (B&B) for this example. Specific – Increase bookings in January next year. Measurable – 50% increase in bookings compared to last year. Attainable – Research and join online groups and forums such as Chamber of Commerce, TIC, accommodation portals etc. Offer advice on things to do, places to go, where to eat etc and answer user questions. Start your own FaceBook business page and update it once a day with news, offers, photos and events in your area. Set up a business Twitter account and send out Tweets about new items on your website and FB page. Send visitors to your website where there are plenty of calls-to-action which link through to your booking page for January. Set aside 1 hour a day to do this, perhaps during your morning and afternoon coffee breaks for example. Relevant – Talk about facilities, local events, things to do and discount offers etc. Time Bound – Start in October after summer holiday rush and in full flow by November. See how breaking your problem down into S.M.A.R.T. bitesize chunks makes your SMM campaign achievable and not so overwhelming? If you’ve been in business a while, then you should know who your ideal customer is. Sticking with the B&B example, you should know if you cater to families with children, older couples looking for a quiet holiday, young professionals grabbing a short break or groups of girls on a hen party! Obviously there are more but you get the gist. If you are a little unsure, then the easiest way to work this out is to create buyer personas. Grab a pen and paper (or your preferred digital device) and write down everything you can think of to describe your ideal customer. Children: Left home and do not holiday with them. Like: Quiet, comfortable, home from home accommodation with onsite parking. Traditional breakfasts, lounge facilities and en-suite bathroom. Budget conscious but return year after year. Dislike: Noise, traffic, pretence, young children, dogs and overpriced rooms. Enjoy: Walking, art galleries, pony trekking, country pubs, eating out at restaurants. Preferred contact: Email and Facebook. Sometimes Twitter. Now, do a search on Google for an image that represents these people, print it out along with your persona and pin it to your workspace noticeboard. You need to have their details to view whenever you work on your SMM campaign because doing this will focus your endeavours and ensure to don’t stray off target. Remember to focus all your words, images, videos, offers, replies and updates etc on these people, and if you decide to run other campaigns alongside this one, be sure to create separate personas for each if you want to target different customer types. Studying what and how your competition is handling their social media marketing is the quickest way to see what’s working for businesses in your niche. Is it funny, serious, educational, informational or something else entirely? What format are they producing it in, e.g. blog posts, videos or photography etc? Do they talk about their product or services all the time or talk about other things and reference their products in passing? Now take a look through their content and note which items getting the most feedback, comments and engagement (shares and likes etc). Use what you find to determine which is the best type of content for you to produce. Create a chart or spider diagram detailing your findings so you can easily refer to it later on. Now you have an idea of who your customers are and what they enjoy, it’s time to create your Key Campaign Messages. These are the overall key messages you want your customers to react to. Work on a maximum of three key messages, all of which will resonate with your customer personas and relate to your S.M.A.R.T. goals. Don’t over do it or your goals will be diluted. Now you’ve created your key messages, break them down a little further so you create a list of Building-Block Messages for each one. These building-block messages will enable you to create and support your key messages. Taking the time to produce both key campaign messages and building-block messages, will make updating your social media marketing campaign much easier. Finally, try to create your own messages and not copy your competitors’ efforts! Being unique is important, as is being exciting and not boring! Your messages want to be memorable and stand out. Social media platforms are all different and you need to choose the right one(s) for your business and the products/services you’re selling. Checking out what your competitors are using will give you an idea for what is working in your niche. Don’t neglect doing research of your own though. LinkedIn for example is good for business-to-business (B2B) and building relationships with suppliers and other local businesses in your area. Pinterest is extremely effective at sharing images, creating mood boards and demonstrating visually how your business works or items relating to your business. Read what they have to say and choose which platform(s) suit your own business. Your content plan is where you work out what type of content you are going to produce, in what format and when. Each item of content needs to add relevant details to your key campaign messages via the building-block messages we spoke about earlier. Items of content should align with the platforms you have chosen to use and deliver real value to your customers and followers. If appropriate, try and create different types of content, especially if they have been successful for your competitors. Variety is the spice of life, so mix it up a little and have some fun. Key message: Special room rates for retirees in January. Building block message: The best restaurant offers in your area in January. Content plan: Reach out to restaurants, talk with chefs and create a series of Vlogs (video blogs) about how wonderful and affordable the meals are going to be in January. Distribution platforms: YouTube, your website and FaceBook. Extra notifications: Email newsletter and Twitter. Schedule: Start in October and drip feed weekly leading up to January. Follow up: Reviews, testimonials and feedback from customers and chefs. Obviously there are a myriad of other subjects you could use to promote your B&B during this time. If this seems overwhelming, keep your building-block messages simple to start with. I promise that the more you do it, the easier it will become. Most of all, let me know how you get on.